We don’t serve to obtain or keep salvation, for salvation cannot possibly by achieved by man’s works. Jesus secured our salvation on the cross. But as believers of God and followers of Christ, we joyfully answer the call to serve God by serving others. We offer opportunities for serving within the church family, within our community, and around the world. Volunteers are needed for nearly every aspect of ministry: greeting, children’s ministry, student ministry, young adults ministry, men’s ministry, women’s ministry, worship arts, technical arts, etc. 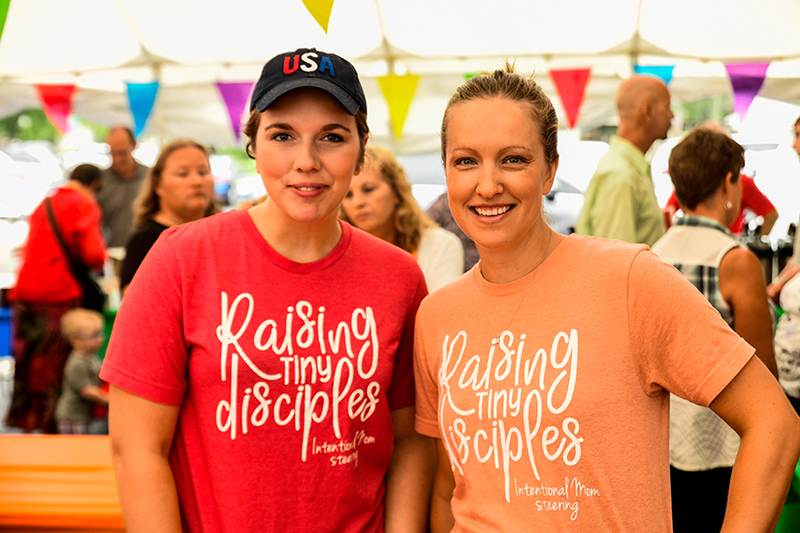 click here or on the Volunteer Sign Up Form button above to answer some questions that will help us plug you in to the best serving opportunity for you! CAB Care Closet - Free clothing distribution from 8-10 AM on the first Saturday of every month. Gently used clothes are received, stored, and distributed at our College Avenue Building, 1135 SW College Ave (enter on the north side). If you’d like to help with sorting clothes or working at our distribution days, contact volunteer Jan Durbin. Harvesters Food Distribution - We partner with our Elmhurst neighbors and Harvesters to distribute food to anyone in need the second Tuesday of each month from 8-10 AM in the Kansas Expocentre parking lot (distribution begins at 9). Anyone may receive food, no qualifications necessary. Volunteers are always needed to help with managing traffic and parking, intake of recipients, and organizing and distributing food. Makeover Ministry - Originated to serve the needs to hurricane victims moving into our community, this ministry provides gently used furniture and household goods to those who suddenly find themselves relocated without their belongings, due to domestic situations or natural causes. This ministry also does cleaning, painting, and other simple updates in homes. Please contact volunteer Melody Congdon with requests for assistance or if you plan to contribute large items. Foster Care and Adoption Ministry - This ministry provides support for people with a heart for adoption or fostering children. Whether or not you are an adopting or fostering family, there are opportunities for you to be involved. Learn more. Chore Corps - Men helping widows with household and yard tasks. Learn more. Our missionaries are real people with families, needs, wants and hopes; people who have answered God's call to win the lost, and minister in Christ's name to the needs of those around them. They have diverse backgrounds and gifts and serve in a variety of areas and ministries. Learn more.